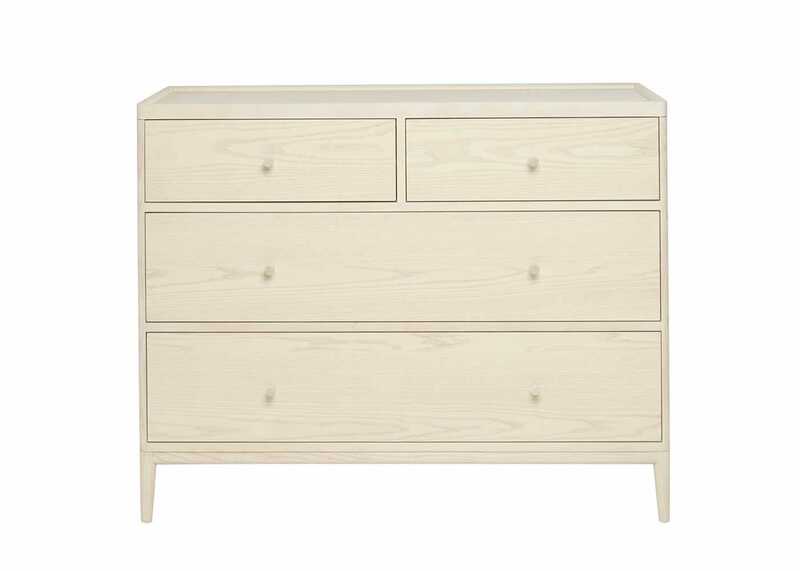 AS SHOWN Salina wide 4 drawer chest. 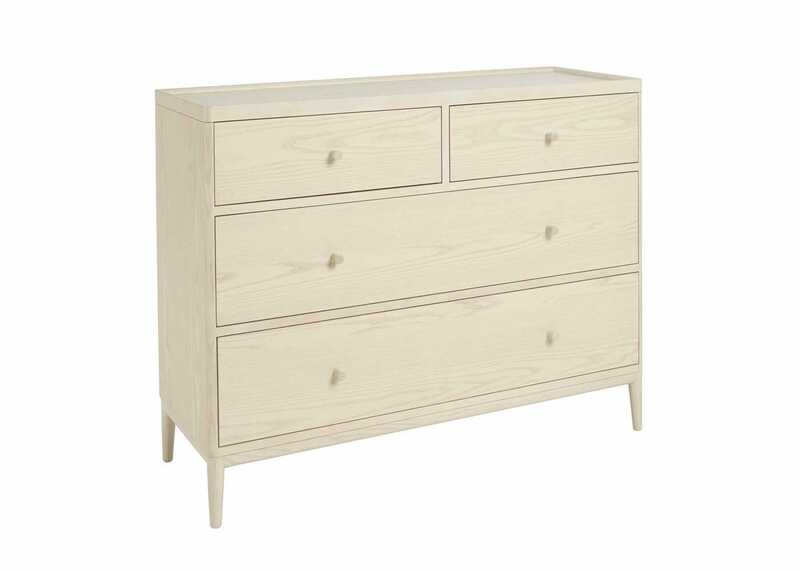 The Salina 4 drawer wide chest offers substantial storage space and boasts 2 smaller drawers and 2 deep drawers for all of your clothes. In keeping with the Salina range, this chest has a practical tray top which prevents items from rolling off the surface. The pale ash with a white washed stain and clear matt lacquer finish perfectly displays the pattern of the wood grain creating a calm and light feel in any bedroom. 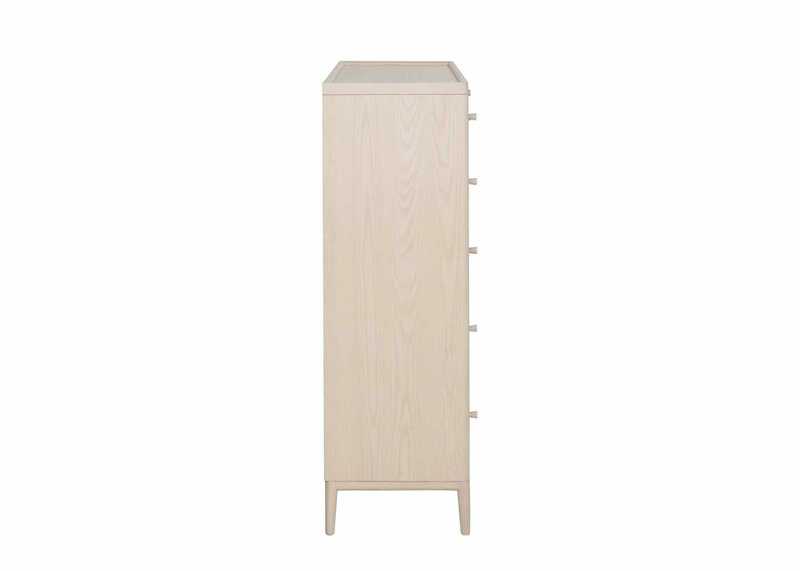 Ample storage with 2 full-size drawers and 2 small drawers, ideal for storing clothing or soft furnishings. Practical tray top prevents items from rolling off. Great quality furniture from ercol.